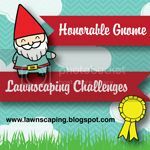 The amazing Lawn Fawn are currently running a challenge to feature cards in their upcoming CHA booth and catalogue. 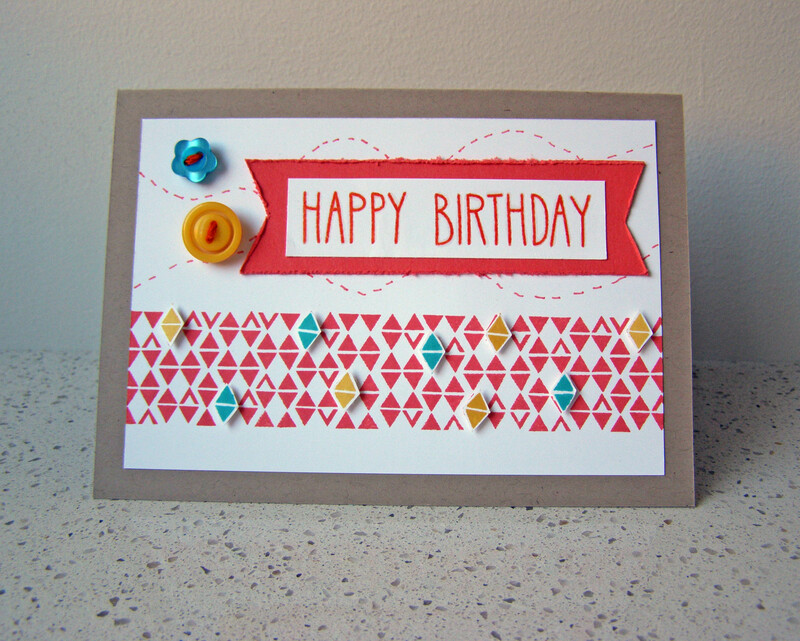 I made this card using the Sharp Backdrops and So Much to Say sets. I love the geometric backdrop design and thought I’d highlight a few of the diamond shapes by stamping them in different colours and giving them some dimension. 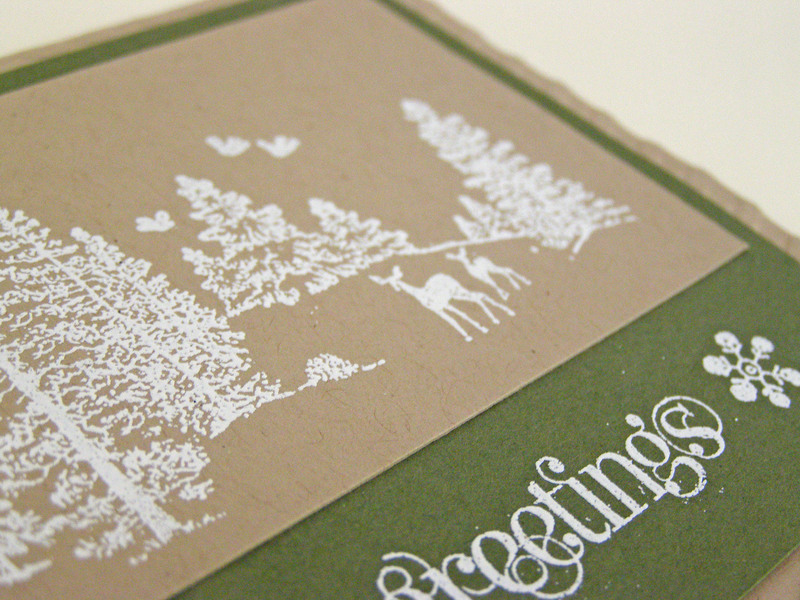 I don’t have any coloured embossing powder so stamped the greeting in dye ink and then used a Versamark pen to trace over it and clear emboss it. 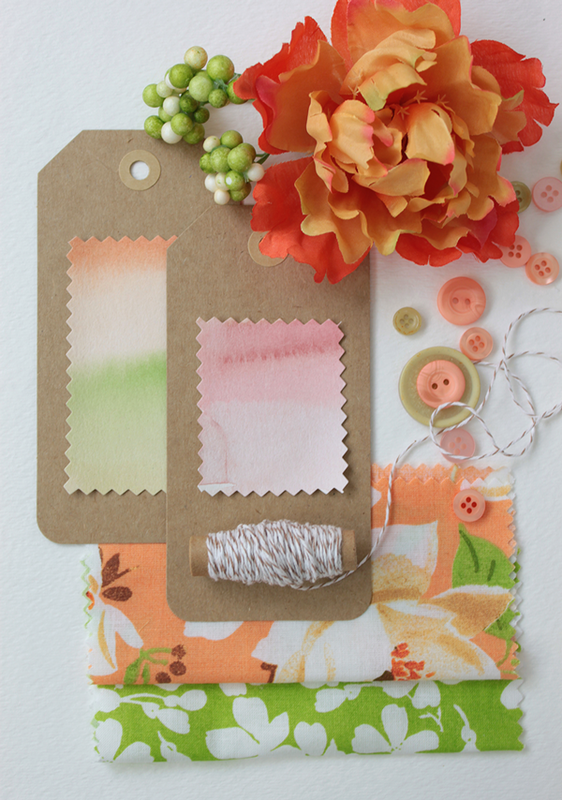 The little buttons are tied with Lawn Fawn cord from the Retro pack (such a joy to work with!). I used a marker to draw a couple of dashed lines around the buttons and greeting. 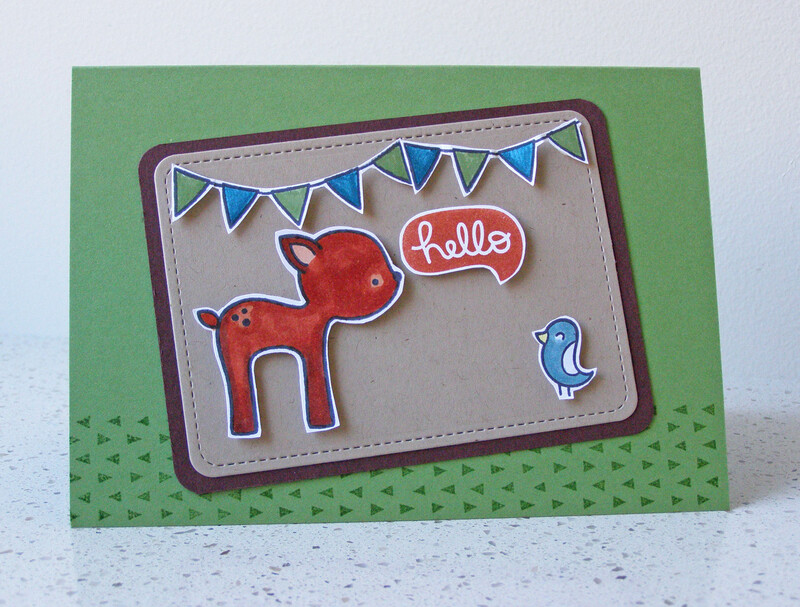 So here’s my second card using this week’s Make it Monday technique. I stamped one of the stripe images from PTI’s Super Stripes set and then followed the steps for adding the Heat & Stick powder and glitter (SU Dazzling Diamonds). Fun! 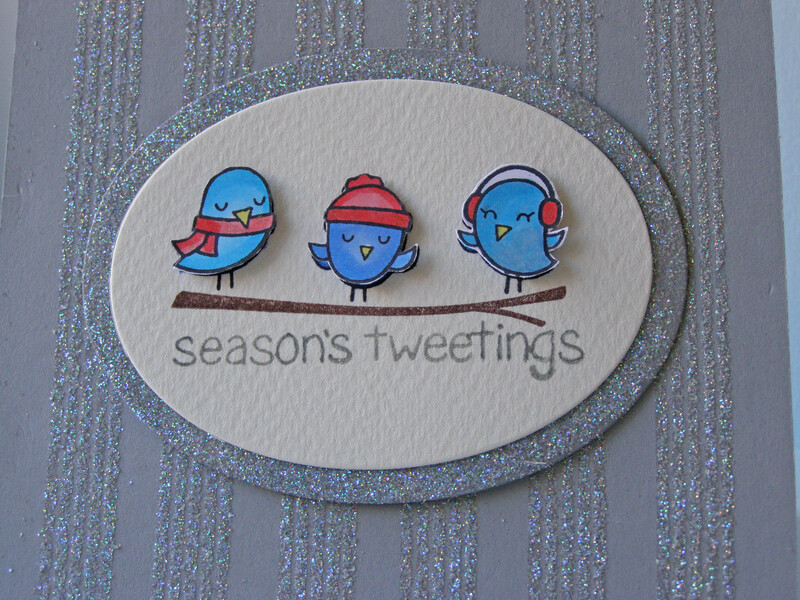 I then used the adorable Lawn Fawn Winter Sparrows set for the main image, coloured with Copics. I wanted the oval matt to also have some bling to match the striped background, so used the Versamark ink pad directly on the edge of the oval piece and followed the same technique to add the glitter. I’ve had a jar of Heat and Stick powder sitting with my embossing supplies for a few years and was keen to try it out with glitter after watching the Papertrey Ink Make it Monday video this week. 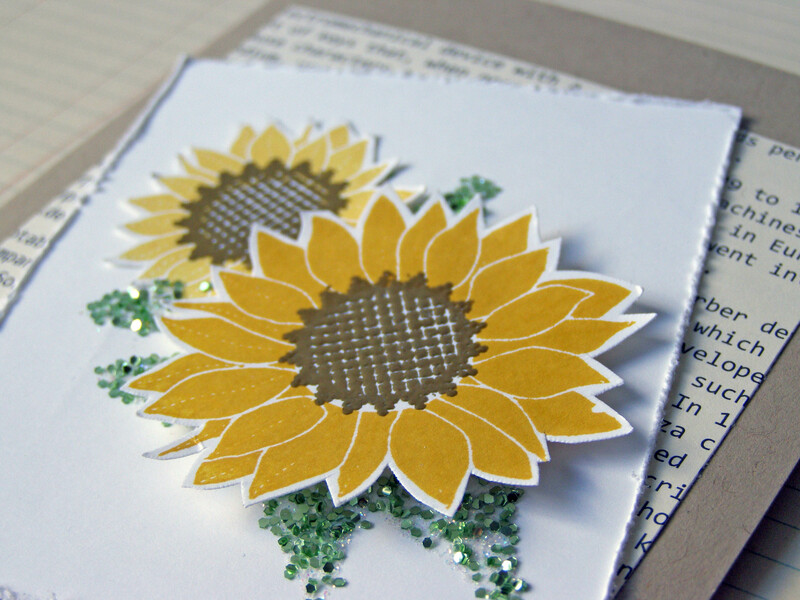 I’ve also had a jar of chunky green glitter sitting in my stash for ages and thought I’d use that for the leaves on the Simple Sunflower set. This glitter was a little *too* chunky to take the shape of the leaves properly, but never mind, I do like the texture of it :). 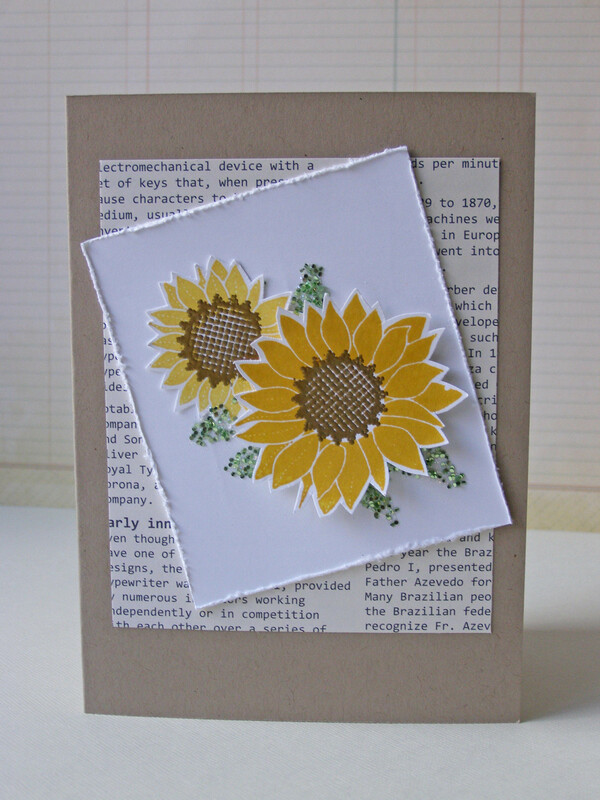 I used some old Stampin Up gold embossing powder for the centres of the sunflowers and liked the burnished gold colour that became when heated. 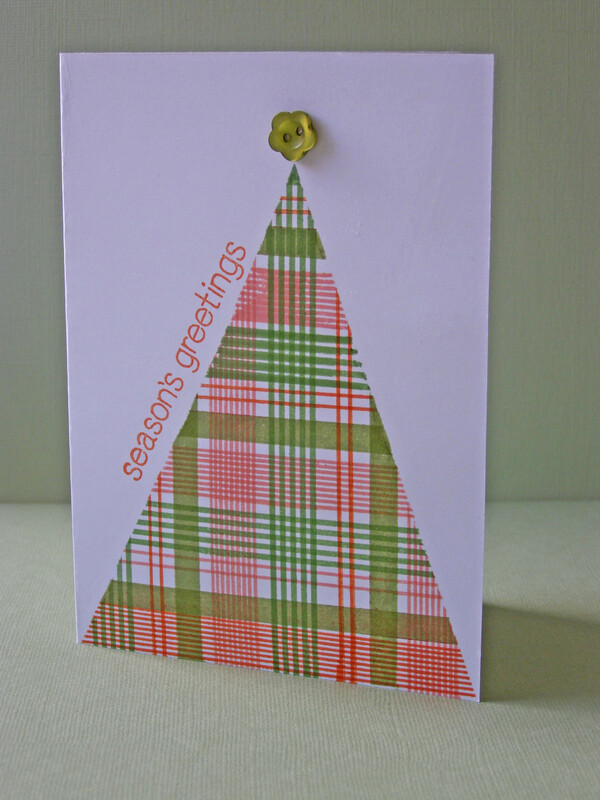 I did have another go at the technique with a finer glitter and will post that card tomorrow. 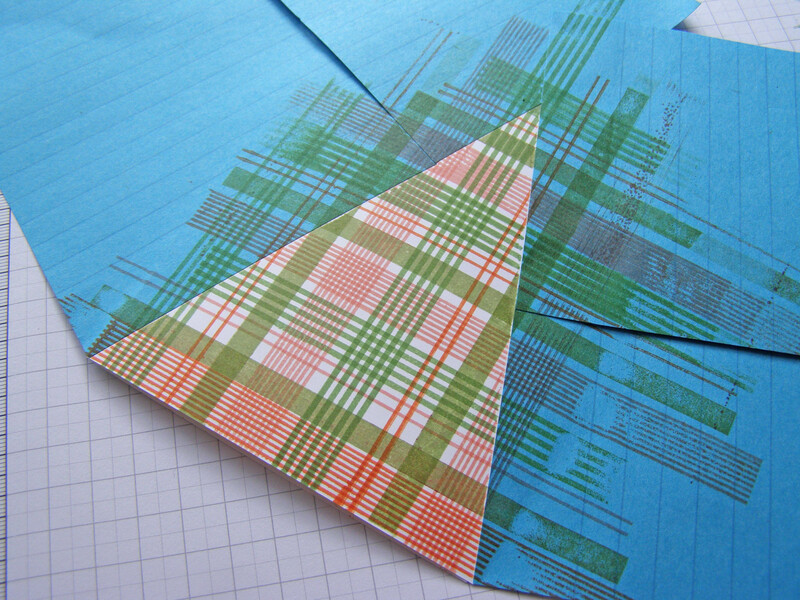 Ever since I saw Kristina Werner’s wonderful plaid stamping card here I’ve been wanting to try this technique. I got my chance today when I unpacked some new goodies I’d ordered from WPlus9 and Papertrey Ink. 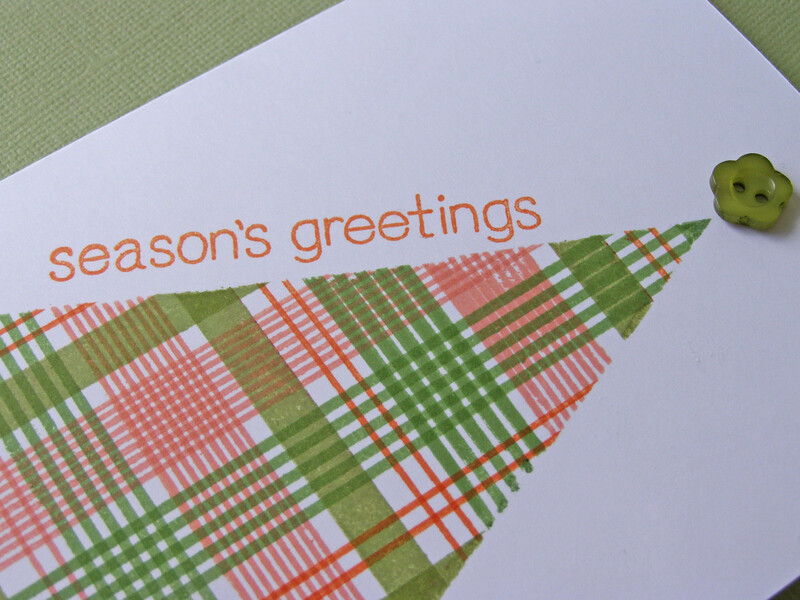 I used two of the stripes from the WPlus9 Country Charm set and two from Papertrey Ink’s Super Stripes set to create this plaid. I’m a recent convert to photopolymer stamps, and have to say that this technique really demonstrates the benefits of good quality clear stamps. I was able to line all the stripes up without a stamp-a-ma-jig in sight ;). This week’s CASology theme is “triangle”, so I did some masking to create the triangle tree shape in colours inspired by the current WPlus9 Monday Mood Board #23 challenge. Aren’t the colours in this photo simply gorgeous? 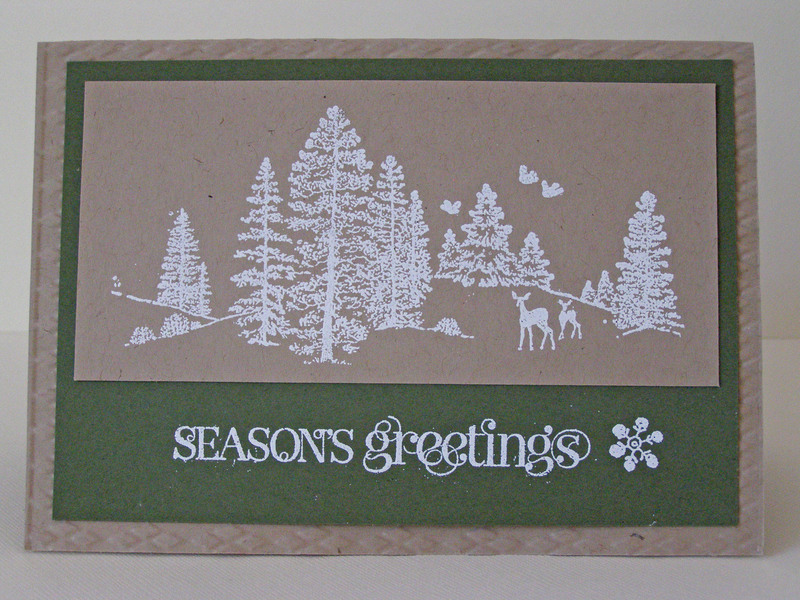 For the inks I used Stampin Up Tangerine Tango, Crisp Cantaloupe, Wild Wasabi and Pear Pizzazz. 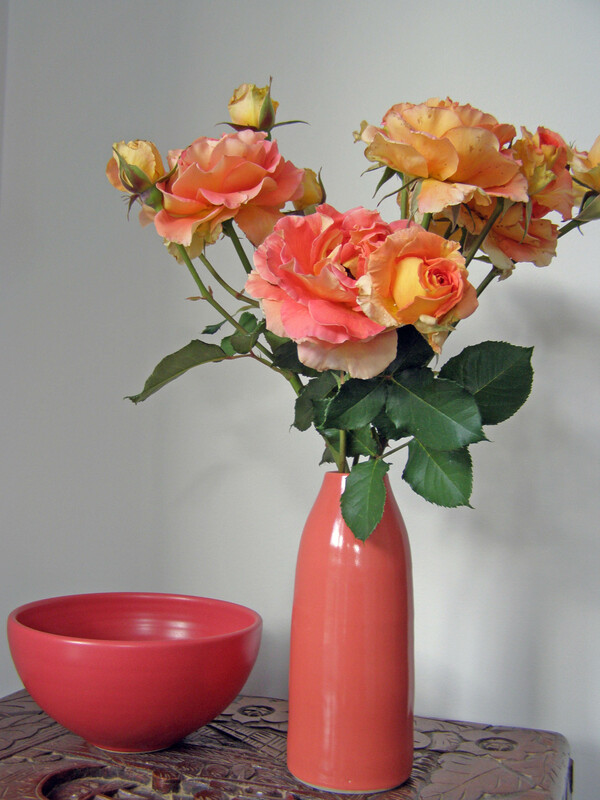 The mood board reminded me of the beautiful cut roses my Mum gave me yesterday fresh from her garden. I placed them in one of my vases from a favourite local store, Bison Ceramics. 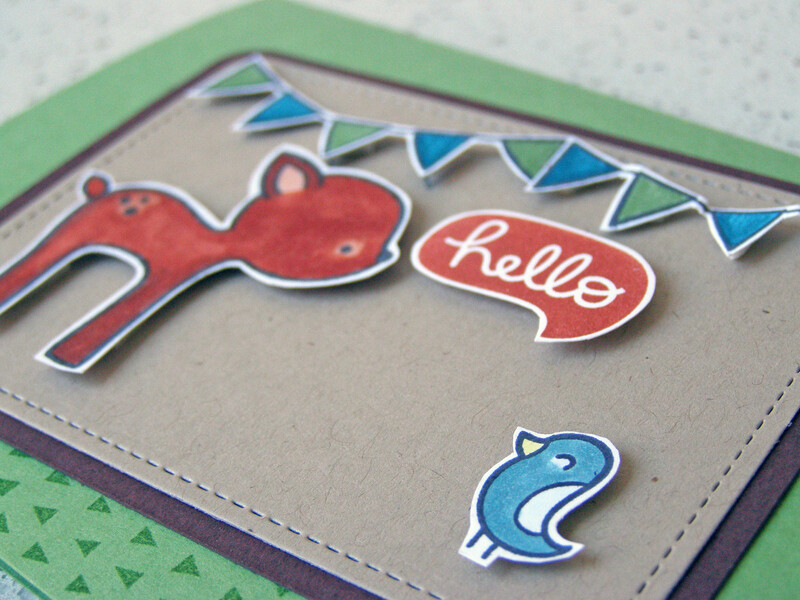 And here’s a photo of the card in progress with the masking still attached (I used extra large sticky-notes). I’ll keep practising the technique – it’s quite addictive! Hello! 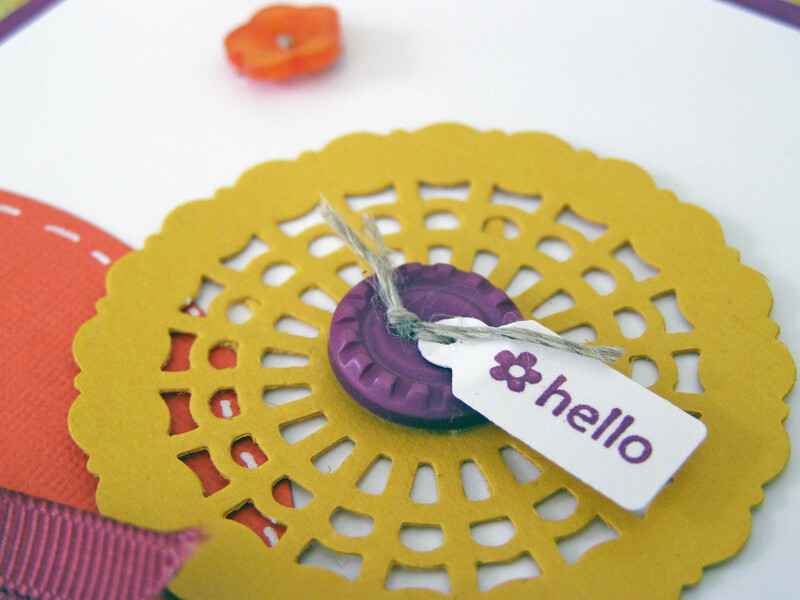 It’s a lovely sunny Spring day here and as I’m not working today and the kids are at school I’ve had a couple of hours to create – bliss :). I really liked this week’s Retro Sketches layout and thought I’d combine it with the Colour Q challenge. These bright colours all together are a little out of my comfort zone, but on the white background I do like the combination. 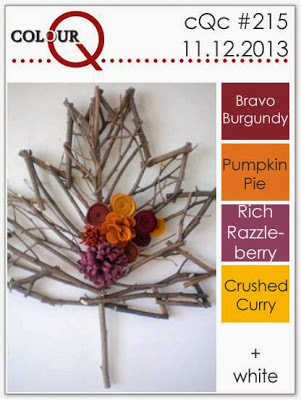 I had an old reel of Bravo Burgundy ribbon and added the little flower buttons from the SU Brights collection. The Pumpkin Pie circle needed something extra so I added the white dashed line with a white pen. Hello! 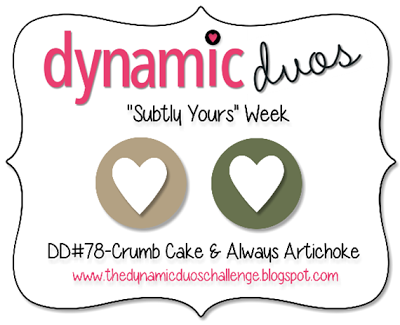 This week’s Dynamic Duos challenge colours inspired this card using the Hero Arts Winter Scene stamp which I’ve embossed onto Crumb Cake card. The photograph doesn’t really show it but this stamp gave a beautifully detailed image. 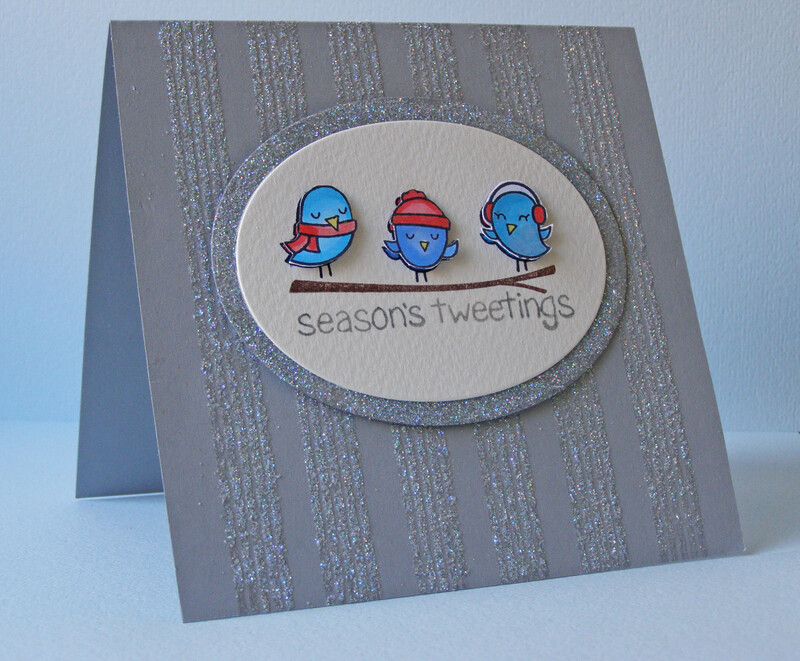 I mounted it onto the Always Artichoke card with a Stampin Up greeting – and decided not to brush away the errant pieces of white embossing powder here, hoping they might add to a snowy effect ;).